Since recent changes in the American immigration policy, most immigration law firms and consultancies have seen an increase in inquiries from persons located in the United States without proper documentation. Here is a quick overview of the possibilities in such cases. – Possibility VS Approbation: The first thing to understand is the difference between the possibility to present a refugee application and the approbation of this application. These are 2 very different concepts. – Claim at the airport or immigration office: a person can make a refugee claim at any Canadian airport or inland immigration office (NOT at the border), provided he/she does not have a criminal record. – Person with family ties in Canada: if a person has first or second grade family members in Canada, he/she can make a refugee claim at the border and has the right to have the case heard by the Immigration and Refugee Board. 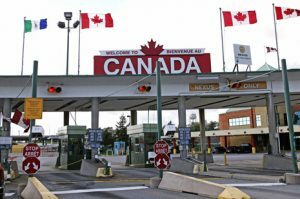 – Low Probability: it is possible to present a refugee demand in Canada, however, there is no guarantee that the application will be approved. The hearing is granted to people making the claim, but the case has to show strong persecution and no other flight alternative, which is not the case for most undocumented persons in the USA. The approval rate at refugee hearings is very low. The case needs to be very strong in order to be successful. – Previous refugee claim in the USA: for persons who have already made a refugee claim in the USA and have been refused, there is no possibility to make another claim in Canada, due to a special agreement existing between USA and Canada. – Undocument foreign persons in the USA fearing deportation: fear of deportation is not a ground for being considered a persecuted person. If a person is in the USA because it is easier to find work or earn more money than in his/her country of origin, this is not a basis to claim refugee status. We are sorry not to have better news for undocumented foreigners in the USA, but the immigration law is very clear on who can or cannot obtain the refugee status.